Why choose Steps to Recovery? It is simple, We Care! Our intimate environments allow us to understand each person’s unique needs and treat them in a completely individualized way. Providing the highest standards of care for substance abuse and co-occurring disorders, our approach is authentic, transparent, and inclusive. Finally, because we believe that addiction is a family disease, we have specific programming that creates a setting that allows family to recover with their loved one. How can Steps to Recovery help me? Whether your seeking help for yourself, a loved one, or a client, Steps to Recovery can help. We have an advanced Admissions Team that is built to help every person who calls. We work to dissolve barriers to treatment. This means that we will support people into our treatment programs or assist them into another option if that it what is needed. When my loved one admits into treatment, when will I hear from StR? As long as the appropriate releases of information are signed, you will receive contact from your loved one and their Care Manager the day they admit. Every client is than put on a one-week period in which they can only make calls when specifically approved by their Clinician. However, within that first week, you can expect to receive a call by the person’s primary Clinician to begin the treatment planning process. There is also contact made by our Intake Specialist within the first week to review all insurance information and resolve any questions regarding costs, length of stay, and any other logistical needs. How long is the typical length of treatment? Length of stay in treatment varies from client to client based on a person’s specific circumstances, progress during treatment, and clinical recommendations. Typically this initial portion of treatment can last between 30 and 60 days. Addiction Treatment research indicates that the longer someone is engaged in services, the higher their chances of long-term recovery. For this reason we work with the client to receive as much treatment as they can. In particular, we encourage our clients (when able) to engage in our Phase II programming. Our Phase II program is a less intensive level of care that is geared towards supporting people in treatment and in the community while they become integrated independently in the recovery world. These supports address 12 step integration, recovery housing, treatment, recovery motivation, employment, education an more. Attempting to receive treatment in your local area can make it difficult to focus on what is most important. Travelling allows you or a loved one to potentially escape a negative social environment, toxic relationships, or stressful home and work environments. Removing someone from potential pitfalls and triggers can allow them to fully engage in treatment. How does Steps to Recovery work with families? Steps to Recovery believes that addiction is a family disease and that dynamic is often best explored while safely in treatment. Prior to admission to our facility, our admissions staff will be with you every step of the way. Preparing the admissions process, answering questions, and sharing their experience. In cases where clients or loved ones are resistant to treatment our staff is more than happy to help engage the conversation, or intervene either on the phone or with the family. Once in treatment we have family programming that includes bringing the family into the clinical setting to meet the staff and participate in psycho educational and process groups. The aim is to give families the necessary tools in order to best support their loved one and appropriately set boundaries throughout their recovery. Please contact 866-488-8684 or [email protected] with any questions regarding yourself, a loved one, or a patient. Our Admissions team is available 24 hours a day and 7 days a week. Our Admissions team will check your insurance coverage or discuss payment options, and set up a pre screen that can often be done over the phone. This means that someone seeking treatment can complete the entire process and be admitted that day. The cost of treatment will of course vary for every individual. 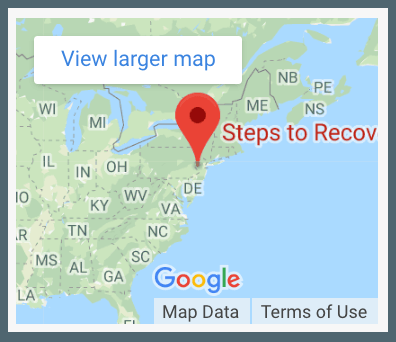 Steps to Recovery is a primarily Out of Network treatment facility, which makes us able to work with most insurance companies. Often people associate out of network with much higher costs and financial obligations. Our goal is to make treatment as accessible as possible without financially crippling the family. If you have questions about the specifics regarding your insurance and potential costs, please contact one of our admissions coordinators. The cost of treatment is often times a significant barrier to someone getting help for themselves or a loved one. We will do everything we can to explain any and all financial obligations prior to admission. Steps to Recovery wants all those in need of high quality treatment to be able to access it. Even if you don’t have private insurance or are concerned about the costs associated. Please contact our admissions department to discuss your options. We have very competitive rates for self-pay clientele and a database of resources regardless of your location to assist you in finding help. We want all our patients to be comfortable and fully prepared during their stay in treatment. A typical day at Steps to Recovery could have a client indoors, outdoors, seated in groups, or actively exercising or in a gym setting. We would always suggest that clients take into consideration the location of their treatment and the time of year and weather. Bringing about two weeks of clothing that is both comfortable and appropriate. We offer laundry services free of charge. For more information on what to bring, please contact our admissions team with any questions.